Lucene is an open source search engine used in Sitecore CMS for indexing and searching the contents of the website. Here you will see the simple and easy way to perform Lucene search in Sitecore. Lucene search can be performed on any item or fields of item(s). 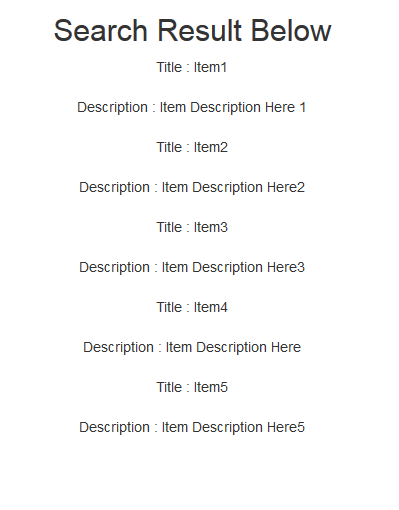 In this post we will look at performing Lucene search on Sitecore item field. We will use the default search index provided by Sitecore. Default search index i.e. sitecore_master_index. This default search index uses syncMaster search strategy which will rebuild automatically based on certain events. Every time you update, create or delete an item Sitecore runs a job that updates the indexes. The process is usually complete by the time you have saved or published an item. So as you do any changes to an item then it will automatically rebuild the search index.